A major milestone of summer is the 4th of July, a holiday commemorated by spectacular fireworks shows which take place across the Austin area. Whether it's your first time taking the kids or if you are looking for a new tradition, you have plenty of ways to catch fireworks across the Austin area starting this weekend. A Water Wonderland for the kids, contests, a petting zoo, a Car Show with the Bastrop Area Cruisers, children's activity area, a DJ playing music all day, a washer (with cash prizes) and domino tournament, tons of awesome food & treats, the Austin Symphonic band and of course, fireworks (9:15pm). Performances by Calliope Musicals, The Avacados and Bob Schneider with fireworks at the end of the show. Tickets start at $25. Family fun includes historical reenactments, hayrides, live music and a colorful display of independence flags. Red-white-and-blue historical shows, new exhibits, farm animals and hayrides are planned, along with music and other other old-fashioned festivities straight from the 1800s. The days will be Austin’s version of a midsummer festival, a popular activity in the late 1800s. Plan to come early and stay late for this old-fashioned weekend outing that replicates the family-friendly summer holidays in Old Texas. Regular admission will be charged. The Austin Symphony Orchestra will perform at 8:30 p.m., followed by “mile-high” fireworks at approximately 9:30 p.m. The event is free and open to the public. Celebrate the U.S.A. at Dell Diamond as the Express will don special uniforms before a spectacular post-game fireworks show. Celebrate the Fourth of July at Liberty Fest! This FREE, family-friendly event is perfect for the whole family with live music, food and craft vendors, children's activities and a spectacular fireworks display. Fireworks will be launched from the Capital Metro Leander Station. A parade, fireworks, carnival rides, jalapeno eating contest, Swifty Swine Pig Races, children's games, Sam Bass shootout, Movies in the Park and skydivers are all part of the City of Round Rock's July Fourth Frontier Days Celebration. The event is free for the entire family. Independence Day festivities begin with free watermelon at the Lakeview Pavilion in Old Settlers Park and includes music from the Austin Symphonic Band. The SERTOMA Round Rock Veterans Fourth of July Parade moves back to Main Street in Downtown Round Rock. Fireworks begin at dark, and the movie (Lego Batman Movie) begins right after the fireworks. Wells Branch is famous for its FourthFest celebration. The day begins with a short parade starting at Katherine Fleisher Park at 10am. Spectators are welcome to line the street to watch. When the parade returns, there’ll be an afternoon of entertainment under the big tent, concessions from local restaurants and community service groups offering a variety of items to enjoy, and activities for the kids around Katherine Fleischer Park. The pool will be open and free to the public as well. Fireworks begin at 9:30pm at the soccer field adjacent to the recreation center on Shoreline Drive. The festivities will begin at 11:00 a.m. with over 60 Arts and Craft booths, 20 Food vendors. Kiddie rides, Bounce Houses and games along with a Petting Zoo are provided for the children. Musical entertainment, featuring some of the best local and central Texas talent, will begin at the Gazebo at 12 noon and will continue all day. A "Hometown Parade", sponsored by the Leadership Georgetown Alumni begins at 11:00 a.m. at the low water crossing, ending at the Gazebo. The 4th of July Celebration is free. Fireworks will start at around 9:30pm. The parade kicks off the day at 10 am on Discovery Blvd. Afterwards, from 4-10pm, the event will feature live music, bingo, a washer tournament, air castles, free watermelon and a fireworks display. Fees apply for food concessions, face painting, and carnival games and rides. Admission is free. Come to the new stadium for live music by The BlueBonnets and SkyRocket, food trucks, and a fireworks show (9:15pm). Free admission. Starting at 6pm, the pre-show celebration at Plum Creek Golf Course Clubhouse is free to the public and includes live music and fantastic viewing. Hot dogs and cold drinks will be sold under the large tent, along with other snacks. No outside food or drink permitted on the golf course property. Hays CISD Performing Arts Center will entertain with music until the fireworks start. The free public program begins at 7pm. No alcohol permitted on school grounds. When it gets dark enough, around 9:30pm, the fireworks show will launch from the golf course. Enjoy shopping, dining, live music & fireworks at the Hill Country Galleria. 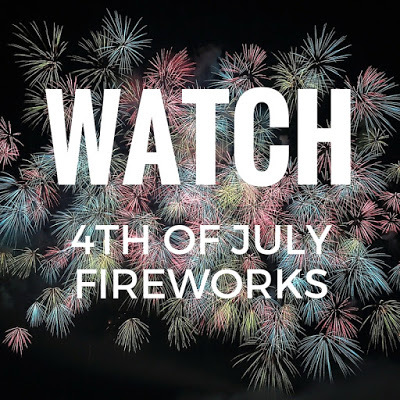 There will be a day-long sidewalk sale, live music by The Watters and Vallejo starting at 6:30pm, and a fireworks show starting at around 9pm. Bring blankets and lawn chairs. Free admission. Watch or be a part of the morning children’s parade filled with decorative bicycles, wagons, and unique kid’s floats as it takes route on Main Street. Bounce houses and more family fun can be found at City Park immediately following the parade. The celebration continues at night with live music, activities and a spectacular fireworks display.